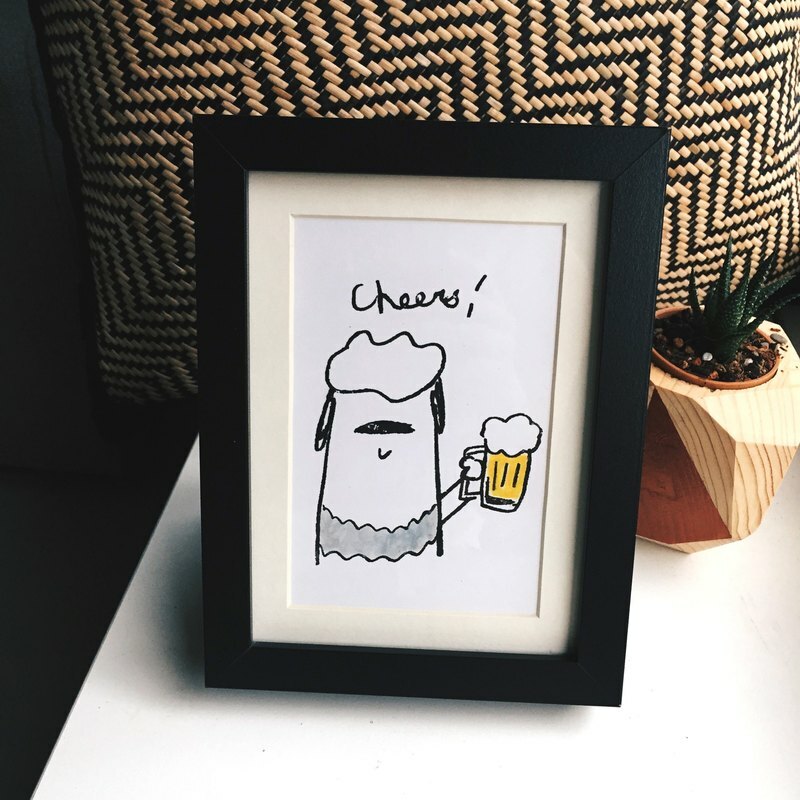 This is a hand printed screen print of my Sheepdog toasting beer design. It is printed in black with Gocco print ink and watercolored with Yellow by hand. Signed and numbered, Limited Edition of 50. It measures 4.33x 5.7 inch (11x14.5cm) and is hand printed onto heavyweight paper. This print will fit a standard Ikea frame and will be sent in a board backed envelope. Illustrations & Design © Ying-Chen Chen Canigrin 2016 SHIPPING: We ship it via Airmail from Taiwan, that usually takes 1-3 weeks delivery depending on your location and your local post office.